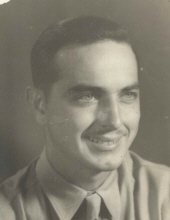 Kenneth Leon Petway 94 of Rogers passed away February 2, 2019 surrounded by his family and caregivers at Innisfree Nursing Home. He was born January 9, 1925 in Coal Hill, Arkansas, the son of Lucian Ferdinand and Ruby Jewel Pyle Petway. Kenneth holds a Doctorate degree in Pharmacology from College of the Ozarks (now University of the Ozarks) and the University of Arkansas and was the pharmacist owner of the Corner Rexall Drug. He was a member of the Southside Church of Christ and served in the United States Marine Corp and the United States Navy during World War II and the Korean conflict serving as a medic and hospital corpsman. He was preceded in death by his parents, six siblings, his son Kenneth Stephen "Steve" Petway, daughter-in-law, Diana Petway and infant grandson, Mack Benjamin Denny. He is survived by his wife of 72 years Milda Cline Petway of Rogers; his daughter Linda (Earl) Denny of Bentonville; four grandchildren Lance (Karon) Nicholas of Rogers, Heath Nicholas (Russ Dietz) of Bentonville, Jordan Denny (Caleb Payne)of Centerton and Drew (Jamie) Denny of Lewisville, Texas; four great-grandchildren Denny Marie Payne, Wyatt Michael Payne, Mattox Row Denny and Miles Pratt Denny. To send flowers or a remembrance gift to the family of Kenneth Leon Petway, please visit our Tribute Store. "Email Address" would like to share the life celebration of Kenneth Leon Petway. Click on the "link" to go to share a favorite memory or leave a condolence message for the family.